WintersGrass Farm - What do I get when I buy a half pig? What do I get when I buy a half pig? Here is an approximate breakdown for 112 lb. half pig. The amounts will very depending on the size, but that is the size we aim for. 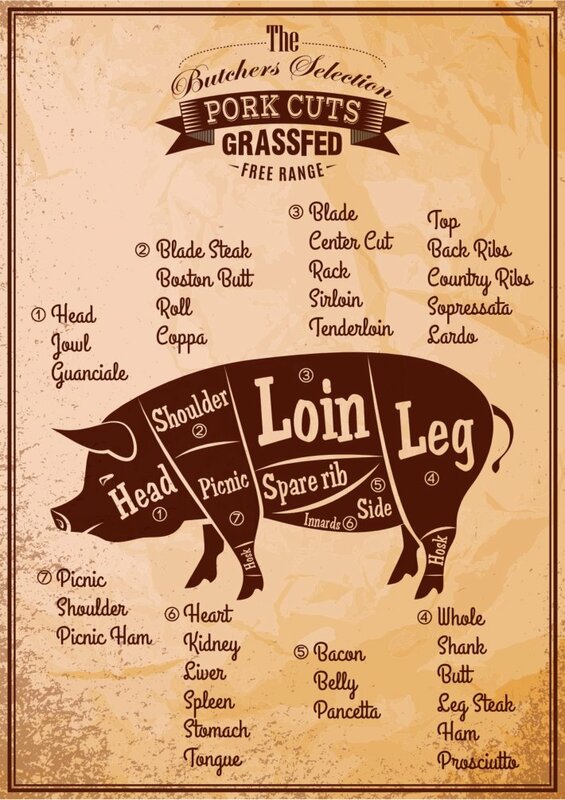 The above is how a half pig is typically cut. However I can customize things to fit your family's needs. 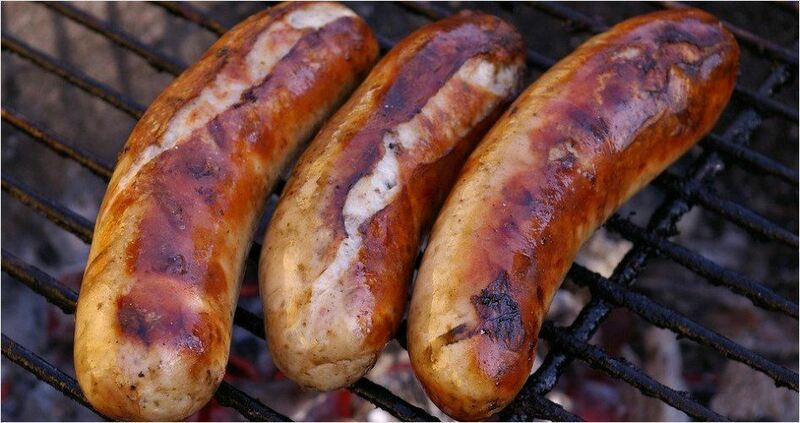 If your family is like mine we love lots of sausage! It's easy to cook up, it's delicious, and it can be used in so many ways! By the way! The breakfast sausage (It comes in small links) is by far my families favorite sausage. Now, except for an occasional get together with family, we aren't big ham eaters. So what I usually do for my family is grind the hams into sausage and that alone will triple the amount of sausage that comes with your half pig. If you want more steaks and fewer roasts, or visa versa, I can make that happen too. It's all about what your family will enjoy the most. I hope this helps! By the way we are sending a batch of pigs to the butcher this week. I have a few spots left if you are interest. Call, text or email! Check out our current price list below!